First Floor 2566 sq. ft.
Width 75 ft. 0 in. Approx. Height 22 ft. 8 in. This Tuscan style ranch home plan looks larger than its 2500+ sq. ft. of living space. 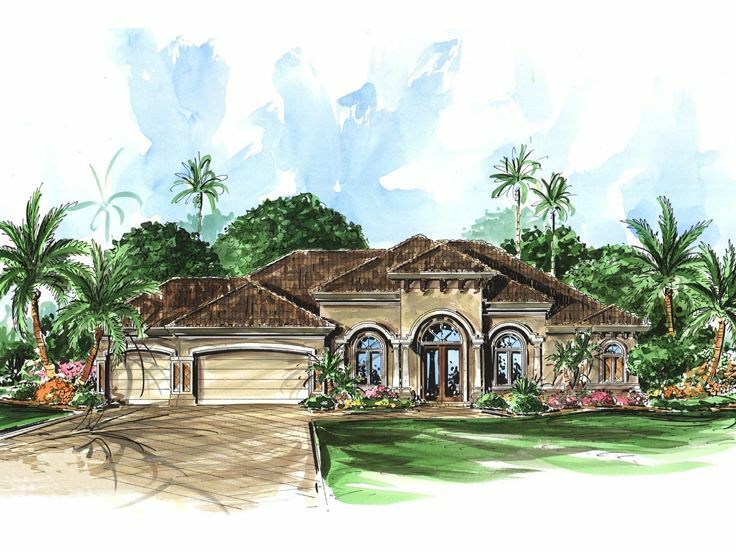 Stylish details, classy arches and a stucco façade give this Mediterranean design plenty of curb appeal. Elegant porch columns and a French door entry invite you inside. The formal living areas are open to one another and are defined by columns and exquisite ceiling treatments, ideal for hosting fanciful dinner parties. A display niche and double doors accentuate the peaceful study, just right for a home office. The efficient island kitchen is at the heart of the home offering a snack bar and easy access to the 3-car garage via the utility room. Walls of glass fill the open and casual living areas with radiant beams of sunshine. In true Sunbelt fashion, a covered lanai invites you to surround yourself with the gentle breezes. 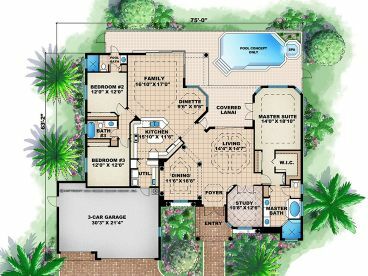 A split bedroom floor plan affords the master suite ultimate privacy as it showcases private access to the lanai, a walk-in closet and posh bath. 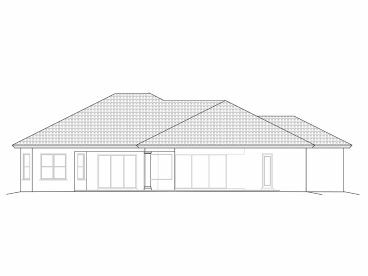 A full bath is tucked between the secondary bedrooms serving the children’s needs while a pool bath is placed at the end of the hall with convenient outdoor access. Abounding with extras and elements of comfort, this Mediterranean house plan lacks for nothing. 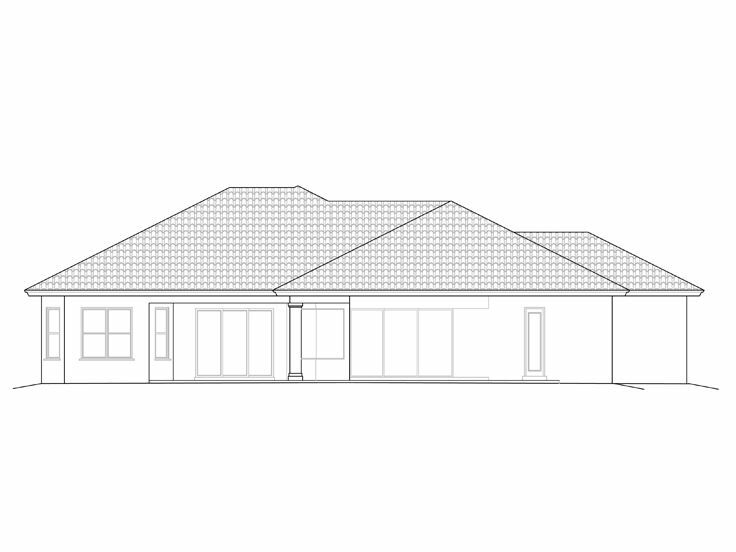 NOTE: These plans are not available for purchase for anyone planning to build in Collier County or Lee County, FL.